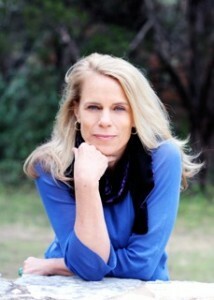 This month we welcome Austin SCBWI member Lindsey Lane to our interview series. Lindsey is a huge advocate for our chapter and for children's books. She helped establish the Betty X Davis Young Writers of Merit Award, and her passion and zeal for life are cherished by those who know her. Anybody who reads "a dangerous numer of books" is someone to pay attention to. Welcome, Lindsey, we are so glad you're here. I grew up in New England in three very small towns: Westfield, Massachusetts; Weekapaug, RI; and Peru, Vermont (Really).It’s funny because, in those very small towns, I felt very watched over and safe but I also felt like I had a terrific amount of freedom. I knew all the back roads. I knew all the quarries and secret beaches. I knew who lived in every house on nearly every street. Even though I begin my stories with character, place weaves into the story of that character’s heart. As it did mine. Always. Always. Always. I was born so much later than my siblings that I really felt out of step with them so I started writing stunningly long letters to friends and boyfriends and reading a dangerous number of books. It was my attempt to be understood and understand the world. Yeah, I really think I began writing because I wanted to explain the world to myself and others. I wanted them to see the world through my eyes. After letter writing came many years of playwriting, then journalism, then a picture book and a young adult novel. With every blank page, I am trying to portray a particular world and its characters to the reader. I want the reader to enter that world, understand it, and be changed by it. I’m kinda fierce about keeping my mornings quiet and reserved for reading, drafting and revision work so I probably wouldn’t let anyone in the door or answer the phone. After that, I’m someone who exercises, is a servant to her animals, loves good food, relishes deep conversations with friends (if done with food and wine, so much the better). In the evening, I tuck myself into email, social media and the business of being a writer. You can always persuade me to play cards or go to the movies. Oh gosh, on the written page, I’m interested in what makes the heart contort, change and grow. So I think my everyday life feeds my work because I like to stay curious and compassionate in whatever I do: talking with friends, solving problems, listening to podcasts (Moth, Dear Sugar and TED are some of my favorites.) The world is a curious place. I think that’s why I write contemporary realism. The world as it is blows my mind. I am most proud of being a mom. I really don’t recommend being a single parent. It’s hard on so many levels and you come up short often. But being a parent? It’s everything: love, responsibility, fear, danger, devotion, commitment. I am a deeper, fuller person because of it. It’s made me a better writer and human being. Oh and I’m really proud of my M.F.A. 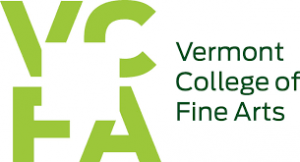 in Writing for Children and Young Adults from Vermont College of Fine Arts. What a terrific program. Talk about making me a better writer. That it continually offers me the chance to grow, go deeper and be more authentic. 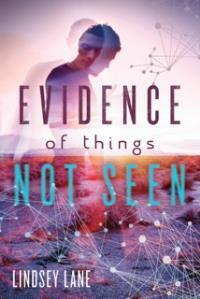 In the year since Evidence of Things Not Seen came out, I have really had to step out in the public eye and it’s been great. I was so nervous in the beginning. Now, I’m almost relaxed in the public arena. As for the writing itself, every story I write challenges me in a new way. I am honored that I get to do this work. Honesty. Yes, my work is edgy but I hope when a reader follows the paths I take in my books, she will feel that she has gone someplace new, seen something completely different and been respected because I told the story honestly. 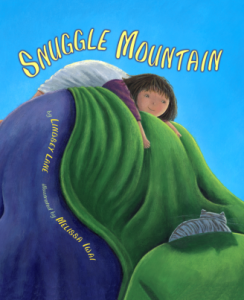 Author Bio: Lindsey Lane is the author of the young adult novel Evidence of Things Not Seen (Farrar Straus Giroux, 2014), picture book and iTunes app Snuggle Mountain, and her short stories have been published in the literary journal, Hunger Mountain. She has an MFA in Writing for Children and Young Adults from Vermont COllege of FIne Arts and is a former award-winning playwright and journalist.